Oyster lights, sometimes called flush mount ceiling lights or surface mounts, are excellent general lighting options as they provide bright, ambient light from a single source. Oyster lights are generally reasonably priced and are available in a wide range of shapes, sizes and styles to match the personality of a room. Flush mount and oyster light fittings are easy to install as you simply attach them directly to the ceiling, which results in a nice and smooth look that is particularly ideal for homes with low ceilings. We also provide a variety of ceiling lights that will not hang too low but add more decorative flair to your room than plain oysters. 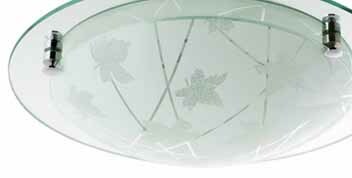 With traditional and contemporary designs, crystal light options and so much more, there’s something for every home. Complete your light fitting with the choice of standard globes or energy-efficient globes which will make them environmentally friendly while still providing elegance to every room in the house. If you are looking to light up an entire room and add a touch of style, oyster lights are the perfect thing you need to make a design statement. Lights2you delivers flush mount ceiling light fixtures throughout Australia and have a wide variety of oyster ceiling light options that cater to everyone’s needs.